Well, well, well...who do we have here? It’s you again!... *grins from ear to ear* :-)... You are very, very, very and very welcome! How you dey? God says “hello”. Okay, I wanna tell you about what happened to me a while back. I closed my eyes, took a slow deep breath and inhaled the spicy aroma that filled the kitchen; my brain picked up the signal and interpreted it. Ah, yes...food! On realizing this, my tongue promptly switched on the water-works as my mouth started to water. As if on cue, my stomach rumbled and I pacified her. “Easy girl, easy. Food is on its way”, I soothed. I had just come back from school and having been running around in the sweltering sun for hours on an empty stomach, I was incredibly exhausted and ravenous. Crashing on my bed on an unfilled stomach seemed almost more appealing than cooking right then. Now, imagine my delight when my nose was treated to the spectacular scent of food (but I’m sure at that point, even **** would have smelt nice). This was definitely the handiwork of my roommate, God bless her heart! “Welcome o. 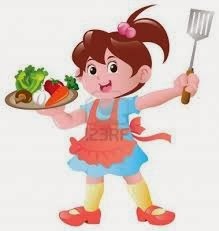 Food is almost ready,” she greeted cheerily and I wanted to kiss her and do a tap dance. Problem was; I didn’t have the strength to. So, I just beamed at her foolishly and went to my room to get changed. Fifteen minutes later and I was all set to do some justice. The food was dished and my incorrigible stomach rumbled again as the scent wafted to my nose. Ohhh! I mentally rubbed my palm in anticipation. This food was in soo much trouble today. At that moment, I could sympathize with what happened to Esau with the porridge. I managed to bless the food before I picked up my spoon, dug it into the mound of rice and surfaced with the treasure. *Oh la la* The journey to my mouth felt like years before *sighs* the food finally made way to the Promised Land and was received by my tongue with...hostility! Arrgh!! What?! I nearly spilled the contents then. The food was tasteless! “What is it?” she asked with concern etching her features. I swallowed with a herculean effort and looked at her. She hadn’t tasted the food yet. 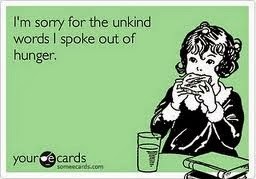 “Who made this food?” was all I had to say before she got the message. She tasted the food then and made a similar reaction. “Chai! No salt! I completely forgot!” she groaned shaking her head in self-derision. We looked around the kitchen and found there was no salt at home. “But wait o, why are we stressing ourselves. You are the salt of the earth now, oya come and do your work,” she teased and we both laughed hysterically. Then, it hit me. 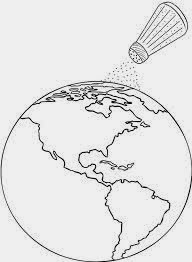 We are the salt of the earth. “You are the salt of the earth!” Jesus said in a loud voice as he taught his disciples. And they must have wondered about that as they looked around thinking, “what does he mean?” And now I’m wondering why Jesus would use that term. Why not sugar or Magi sef? After all, they are also sweet. That means there are some things salt does or some characteristics it has that he knew the earth needed. "Let me tell you why you are here. You're here to be salt-seasoning that brings out the God-flavours of this earth. If you lose your saltiness, how will people taste godliness? You've lost your usefulness and will end up in the garbage.” – Jesus, in Matthew 5:13 (The Message Bible). Flavouring: Now see yourself set to eat the kind of food I had that day, with all its delicious aromas and wonderful colours, imagine your shock and disillusionment when you find out that it’s tasteless after you had spent all the spices and condiments you could afford, after you had stuffed it with ample fish and assorted meats (shaki, pomo, bokoto, kidney, liver...you know now *winks*) In the same way, we as Christians are meant to flavour the earth. The world may seem to be sooo colourful and with spicy aromas after it has spent all it has to embellish itself to appear so, but guess what? 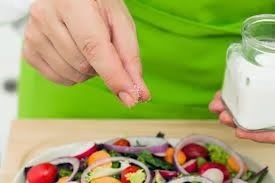 After all the dressings and stuffing, God will still spew the tasteless world out without the salt. And this is our call, we need to flavour the earth or God’s gonna be having some major issues with this cooking! Preservation: Growing up, I used to watch my Mum sprinkle salt on any meat or fish after ‘NEPA’ have done what they do best – seize power (you didn’t need me to spell that one out, I know but I couldn’t resist ;) especially if she doesn’t want to cook it right away. The salt was to preserve the food and this it did very well as the food could stay for weeks without spoiling. Apparently, this is what Jesus expects us to be. I’m sure you don’t need me to state the obvious; that the world is decaying. All you have to do is go walk around your street, your school (e.g walkway...*winks* you get? ), or just turn on your T.V. Now, there is a need for preservation if God’s wrath would be held at bay and this is what we as salts should be doing, our presence commends the earth to God’s mercy (*smh* imagine o, so we are even the ones helping the world). I was reading this book by Derek Prince and he pointed out that this is what happens at the Rapture, God’s wrath is released on the earth, then there is the Tribulation because the salt, the commendations of His mercy, has been removed, bringing out the decay full-on. So, we are to preserve the earth by preserving the Truth. But what now happens when we lose our own flavour? Why, to be discarded of course and “trampled upon”. After all, who needs a tasteless salt in their food? We are the salt of the earth, flavours to the Master’s food, preservatives, commendations of His mercy, if we refuse to do what is expected of us, then the world is in worse trouble than it already is. 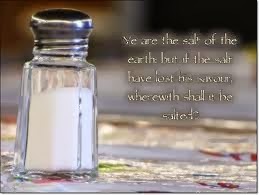 Let us therefore be as salt, preserving the Truth, spicing the world with our godly deeds and expressions of grace by “having salt in ourselves” (Mark 9:50) and praying for a lost and decaying world. Let us not get lost in this soup called the earth but stand out as salts in all we do. If we don’t do so, we are also being selfish. So, what are you waiting for? Go, season your world! Side note: umm...about the food, we ended up drinking gari that day, a live toad seemed almost more appealing – well, ALMOST. We left the food till we could get some salt. And oh, my roomie is really an awesome cook o, these things happen.